The trees on your property add a great deal of beauty and elegance to your surroundings. You love all that the trees provide for you and your family, with great shade for comfortable times outdoors and the way that the trees look throughout the different times of the year. As you go through your home ownership over the years, there are going to be times where you may need to make changes that involve your trees. There can be several reasons that come up that may require the tree removal services in Beverly Hills that we can provide for you at Your Way Tree Service, Inc.
For most people, when they are having a tree removed, it is because of the health of the tree or the safety of their home. Trees can become damaged over time, particularly since they are exposed to constantly changing weather elements and storms that come along. It can be easy for your trees to get damaged from wind, rain, or lightning or to suffer from diseases brought on by pests infesting the trees. You may also find that you need trees removed because they have overgrown over the years and now are too close to your power lines or have limbs hanging over portions of your home, creating dangerous situations for you and your family. You may want the help of our tree removal services in Beverly Hills if you are making changes or renovations to your property. You may have decided that you want to put an addition on your home and need trees cleared, removed or relocated. Perhaps you want to change an area of your landscape to incorporate a garden, pool or patio and need trees taken down to make that happen. Our professional services at Your Way Tree Service, Inc. can be there to do the work for you. If you find that you need tree removal services in Beverly Hills, make sure that you call us at Your Way Tree Service, Inc. We can provide you with the professional, reliable service you need to safely and properly remove your trees for you. 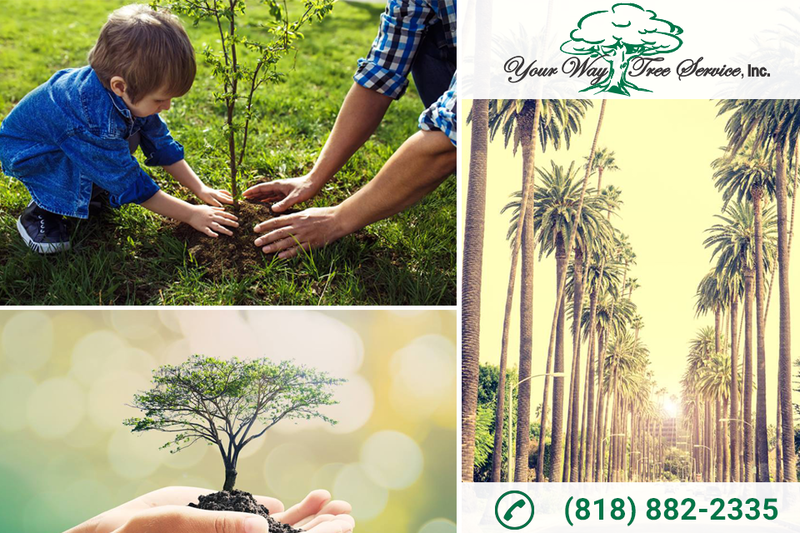 You can contact our office at 818-882-2335 to book an appointment with us, so we can come and look at the trees in question and provide you with the best options to take care of the trees for you.